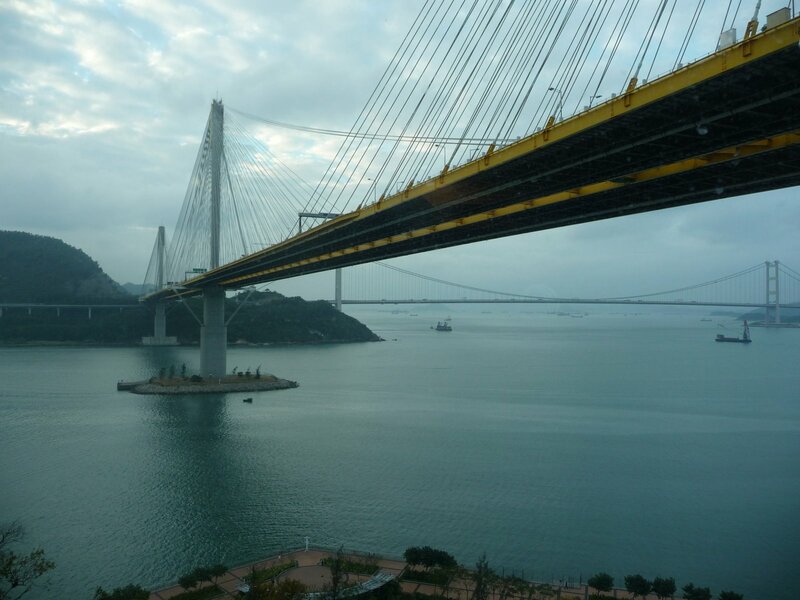 Over the weekend I have taken some pictures of our beautiful airport bridge, known as the Tsing Ma Bridge. I hope this would help salvage the damages I have done with regard to my post of yesterday (title intentionally omitted), which one of the readers found distasteful. To him I must apologize. 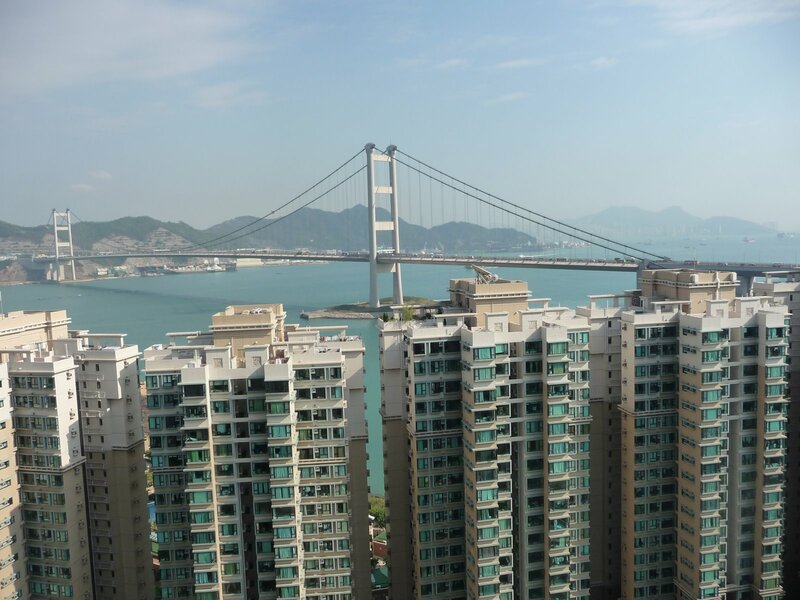 The Tsing Ma Bridge is a bridge in Hong Kong. It is the world’s seventh-longest span suspension bridge, and was the second longest at time of completion. The bridge was named after two of the islands at its ends, namely Tsing Yi and Ma Wan . It has two decks and carries both road and rail traffic, which also makes it the largest suspension bridge of this type. The bridge has a main span of 1,377 metres (4,518 ft) and a height of 206 metres (676 ft). The span is the largest of all bridges in the world carrying rail traffic. The 41 metres (135 ft) wide bridge deck carries six lanes of automobile traffic, with three lanes in each direction. The lower level contains two rail tracks. There are also two sheltered carriageways on the lower deck for maintenance access and as backup for traffic when particularly severe typhoons strike Hong Kong. Though road traffic would need to be closed in that case, trains could still get through in either direction.